THE GREEN PARTY has criticised the decision by the State to withdraw €20 million in funding allocated for the Liffey Cycleway. The plan proposed a continuous cycle path along the River Liffey, from Heuston Station to Dublin’s docklands, in the hope that it would provide a safer route for cyclists through the city centre. The decision by the National Transport Authority (NTA) comes after five years of work on the project by Dublin City Council and its consultants. The Green Party said the decision was inappropriate. “More people travel down the quays by bike than by car during rush hour. We need to provide them with a segregated and safe space to travel. Cyclist deaths are up this year – we need more investment, as soon as possible. We’re five years into this process – it is unacceptable to go back to square one. Minister Shane Ross must fund this project, and instruct the NTA to increase rather than cut off funding. 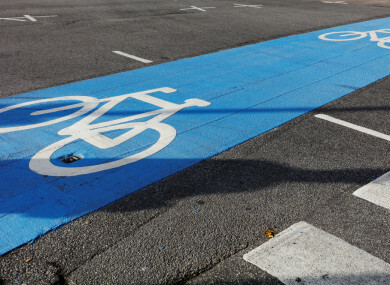 Various segregated cycle lanes were proposed by the NTA in June as it unveiled its €1 billion BusConnects plan. Email “Dublin's €20m Liffey Cycleway project rejected by NTA”. Feedback on “Dublin's €20m Liffey Cycleway project rejected by NTA”.